Retired Air Force Brig. 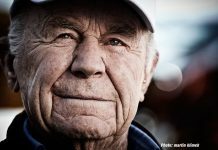 Gen. Chuck Yeager, 90, at his Penn Valley home on Dec. 31, 2013. That’s retired Brig. 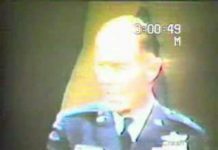 Gen. Chuck Yeager’s response to the question everyone wants to know more about: What’s it mean to be the first person to break the sound barrier? 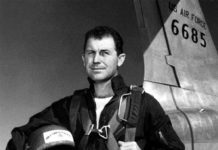 “I was a maintenance type and since I understood systems, I was assigned as a test pilot on the X-1, the first airplane to ever go supersonic,” Yeager said. The Appeal-Democrat reached out to the Penn Valley resident to get his thoughts on nearby Beale Air Force Base and to help reacquaint the public with an important part of military history. He’s not much for talking about himself — maybe icons don’t need a lot of words. But others, such as Col. Phil Stewart, commander of the 9th Reconnaissance Wing at Beale, pay tribute. 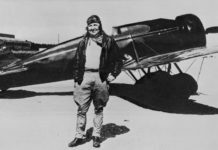 Yeager and his wife, Victoria, agreed to a short talk over breakfast at a Grass Valley café on the last day of December. 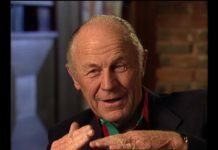 The 90-year-old fighter and test pilot, blue eyes sharp, said he’s flown 361 different military aircraft over eight decades, including the F-15 and F-16 within the last few years. But he’s best known for being “the fastest man alive” after breaking the sound barrier for the first time on Oct. 14, 1947. 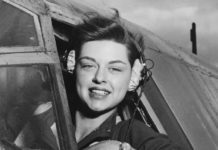 He was soaring at 43,000 feet in an X-1 nicknamed “Glamorous Glennis,” after his first wife, Glennis, when he broke the sound barrier at about 700 mph. Yeager grew up in West Virginia and enlisted in the Army Air Corps three months before the Japanese bombed Pearl Harbor. He started his career overhauling airplanes as a mechanic before becoming a maintenance officer assigned to a fighter squadron. 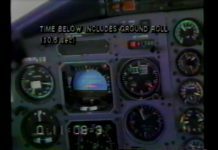 Pilot requirements changed and Yeager found himself in pilot school. 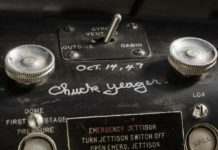 During 1944 and 1945, as World War II raged on, Yeager flew P-51 Mustangs over Europe and once shot down five enemy aircraft on a single mission. “We were sent overseas and given the first Mustangs, which was the best fighter that really ever fought a war,” Yeager said. He was also shot down once over German-occupied France but was able to avoid capture. Nowadays, the modern military has the option of sending manned or unmanned aircraft into a war zone — and nearby Beale Air Force Base has both. “Beale is a specialized base, and it has stayed ahead of the game with the Global Hawk,” Yeager said. The RQ-4 Global Hawk is an unmanned surveillance aircraft capable of surveying tens of thousands of square miles of terrain in a day. “Anything that you can do (so) that you don’t end up having to bleed, is a hell of a good system,” Yeager said with a laugh. CONTACT David Bitton at 749-4796. Find him on Facebook at ADdbitton. 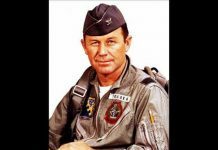 Chuck Yeager, 90, is a retired one-star general who served in the Army Air Corps and Air Force for 34 years and now lives in Penn Valley. During World War II, he was a P-51 fighter pilot. 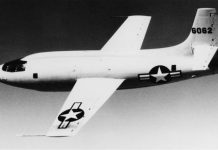 Following the war, Yeager was a test pilot on numerous experimental aircraft including the X-1, which broke the sound barrier on Oct. 14, 1947. Yeager has flown both the U-2 and SR-71, two aircraft that are or have been at Beale Air Force Base. He commanded fighter squadrons during the Vietnam War. Yeager was featured in Tom Wolfe’s 1979 book, “The Right Stuff,” which was about the Project Mercury astronaut program, and was portrayed by actor Sam Shepard in the 1983 movie with the same title. Yeager is a Silver and Bronze Star recipient.